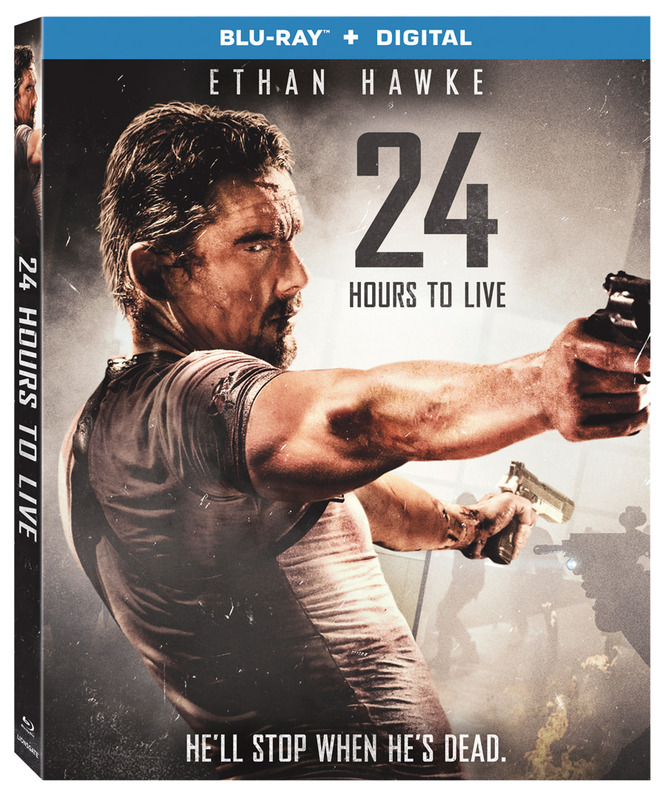 Lionsgate Home Entertainment has announced the date and released artwork for the suspense-thriller, 24 Hours to Live starring Ethan Hawke and Rutger Hauer. Click on the link below or image to the left to check out the features and artwork. 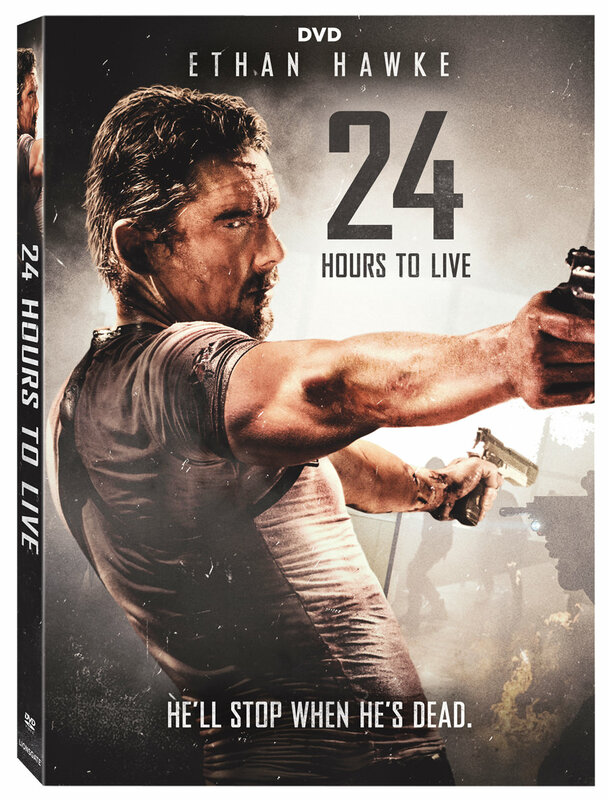 Lionsgate Home Entertainment has announced a February 6, 2018 release date for 24 Hours to Live. The Blu-ray will come with a 5.1 DTS-HD Master Audio track while the DVD will have the usual Dolby Digital 5.1 audio mix. The Blu-ray and DVD will retail for $21.99 and $19.98, respectively. Synopsis: Travis Conrad (Hawke) is a former special-ops marine turned mercenary who is lured out of retirement by the covert company that used to employ him. After Travis is killed during a brutal firefight, a new regeneration surgery gives him a second chance at life—and one last shot at redemption. No features were listed in the press release.